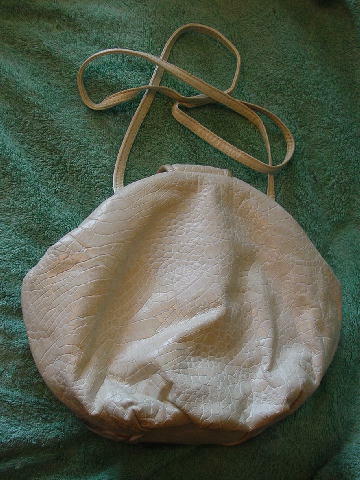 This vintage leather purse is by Fifth Avenue Handbags and was made in the USA. 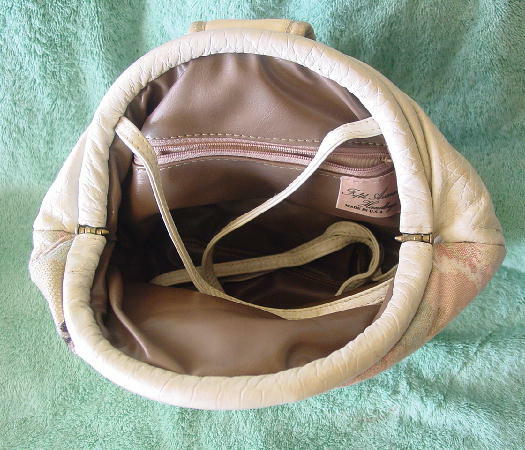 It has a taupe-brown faux leather lining with an interior champagne color grosgrain fabric-lined zipper pocket. It has interior side hinges and the front tab has a hidden magnetic snap closure. The back, strap, rim, bottom, and part of the front have an embossed alligator pattern in a multi-tone bone color. 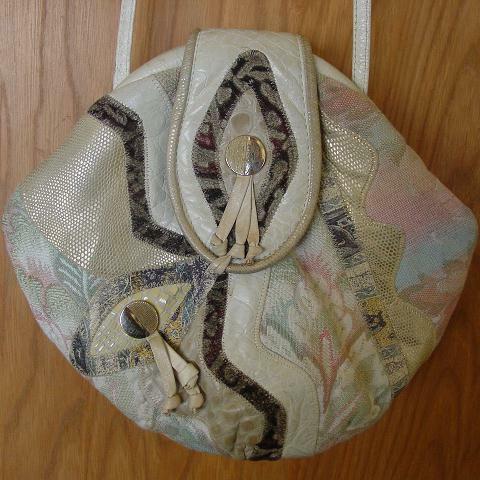 The front has a gold-tone embossed snakeskin, embossed beige and yellow alligator, and a tapestry fabric in pink, white, blue, and light green. The 46" by 3/8" shoulder strap can be tucked inside so you can carry it as a large clutch. The front has two gold-tone (somewhat tarnished) ornaments with 3 leather strips extending downward from each. The purse is very roomy and can hold a lot of things.